Here at Kono we proudly exceed industry standards when it comes to security. We are committed to protecting your data & privacy. Only with your prior consent, we collect the minimum information necessary to provide our services. We do not delegate the handling of user information to third parties, and we do not collect sensitive information. Email content you did not send to Kono <kono@kono.ai>. Messages without “@kono” tagged on your messengers. (Slack, MS Teams, etc.). Contact information not explicitly shared with Kono. Passwords to your calendar or email accounts. 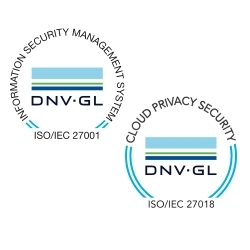 We have ISO/IEC 27001 and ISO/IEC 27018 certifications; the most widely recognized standard for international security control requirements within Information Security Management Systems (ISMS) and Personally Identifiable Information (PII) on the cloud. The Kono platform is built for AWS Compliance–a leading standard for privacy and information security that requires recurring examinations by independent auditors. Our web servers and products use only the best of HTTPS and SMTP security (TLS 1.2), so that requests are protected against eavesdroppers or man-in-the-middle attacks. With Kono for Enterprise, we support dedicated AES 256 encrypted channels with strict access controls. We additionally provide private cloud zones for all of our enterprise clients. Internal tier-to-tier requests are signed and authenticated to prevent request forgery, tampering, and replay. Learn more? Contact our biz team here. If you think you may have found a security vulnerability within Kono, please get in touch with our security team (security@kono.ai), and we’ll look into it promptly.